At the recent Pixxelpoint Festival in Nova Gorica (i presented Circuit Explorations in a performance-lecture) i met Jan-Peter E.R. 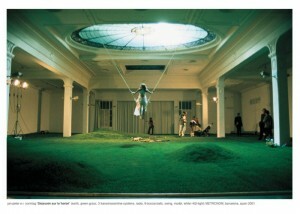 Sonntag and was introduced to and immediately fascinated by his work. I learned that he doesn’t own an archival website of his works, that for a long time an avatar created by a friend had run Jan-Peter’s facebook profile (unbeknown to him) and that he has very strong opinions on how to position oneself when working on the border of art, science and technology (“there is no in between”). He is passionate about sound, especially the perception of sound and how to achieve the highest quality and resolution through technology (computer CD players rule over CD-player hardware as they don’t have automatic error-reduction). 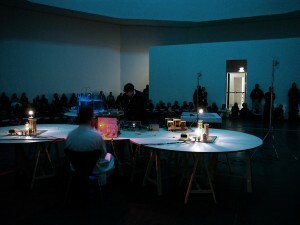 He presented a lecture in form of a film: “Domestication of the lightning / Borders and the Infinite – forming gas and electromagnetic waves” – which was originally made for transmediale 2007 – and filled an hour with ideas, concepts and images that make you want to know more about his work. Experiments on the physical perception of light and sound and flickering tesla-coils were among the images. Sonntag has repeatedly cooperated with scientific laboratories (developing single frequency light sources e.g. ), and as i understand runs now a lab of his own. 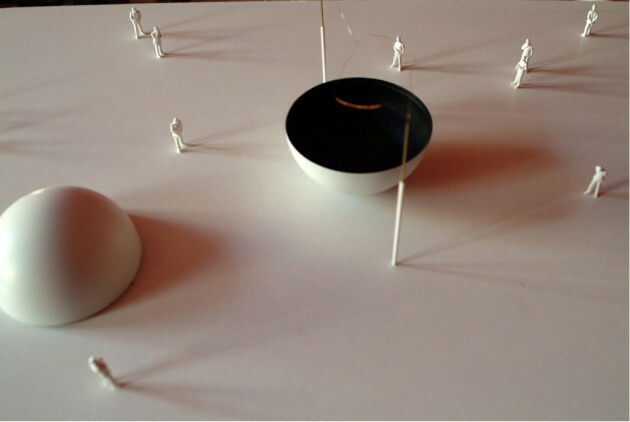 sonArc::project is a multidisciplinary project that moves between the fields of electricity research, video, spatial installation and performance. The project cycle in alternating aesthetic formats searches for the essence of electricity and the possibility of domesticating lightening. Possible bolts of lightening will be directed via the “golden dear“, situated on the top of the building, straight to the exhibition space and controlled from there. Free, high-voltage plasmas and electromagnetic fields will then be sculpturally formed and made experienceable to the senses. The visitor will be able to follow the weather conditions on a computer which is logged into a meteorological early-warning network. Composition for two ionophonic/codable tesla-coils. 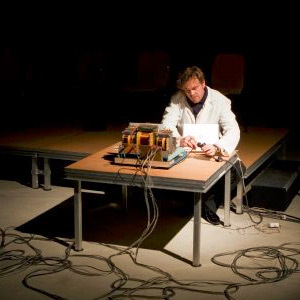 A high-voltage installation comprising four different electromagnetic fields, which can be performed by the audience. It’s the first electronic instrument that, by means of electricity makes the air oscillate. 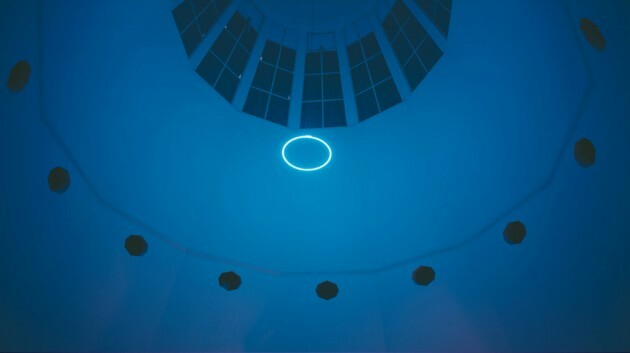 Resting on a water membrane with a 600 liter capacity and equipped with earphones, the visitor submerges into an apparently endlessly falling room. This effect is induced by the electromagnetic waves which directly surround the visitor and which are converted into acoustic and physical oscillations. 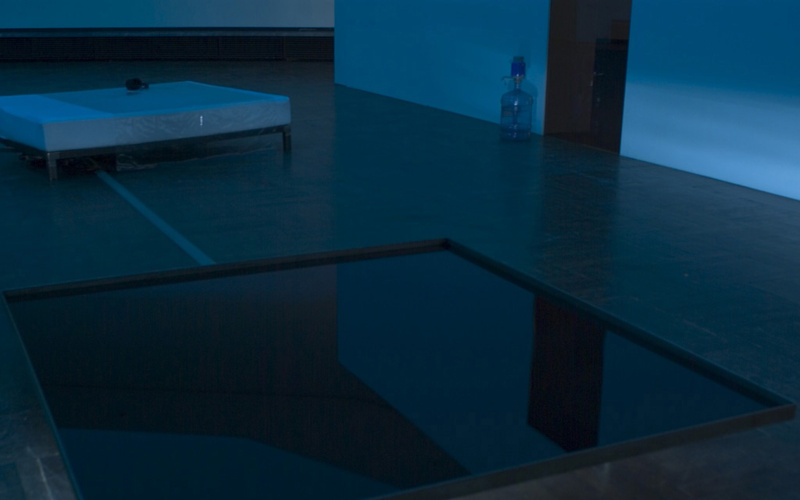 By means of a field of black oil are the oscillations translated into visual wave patterns. The gras+swing installation works with acoustically perceptible material, translating sensory impressions into different media: the three-dimensionality of sound. A photograph of a seascape, developed using uranium nitrate, a substance that emits gamma waves. 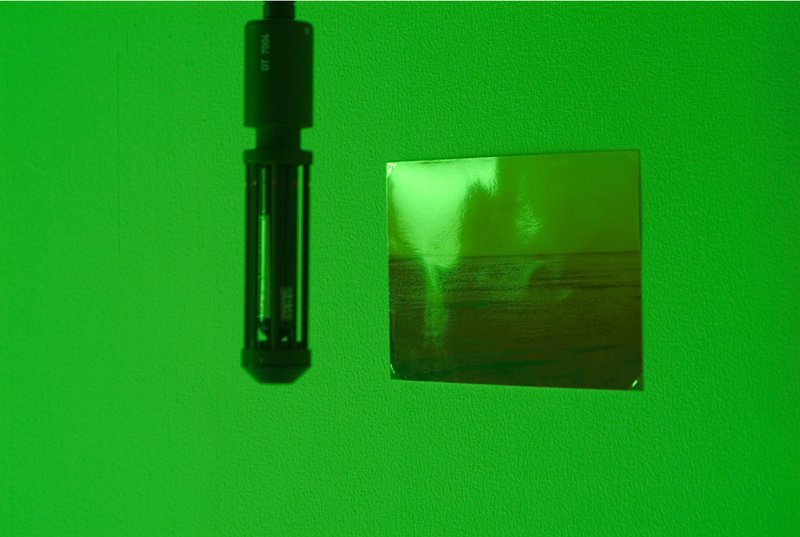 The room is flooded with standing waves and a monochrome green glow, formed by a single light frequency, an allusion to the famous ‘green ray’ described by Jules Verne: a flash of green light that, on rare occasions, appears on the ocean horizon at sunset. Posted in Inspiration and tagged green, Jan-Peter E.R. Sonntag, light, perception, sound, tesla coil.